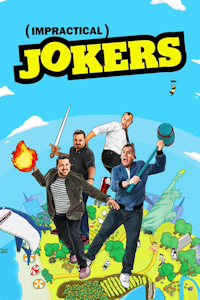 New York-based comedy troupe, whose four members are the creators, executive producers, and stars of truTV's hit series, "Impractical Jokers". Impractical Jokers archive with 17 listings from Saturday, 27th February 2016 to Saturday, 14th October 2017. Receive email notifications of changes and updates to Impractical Jokers.